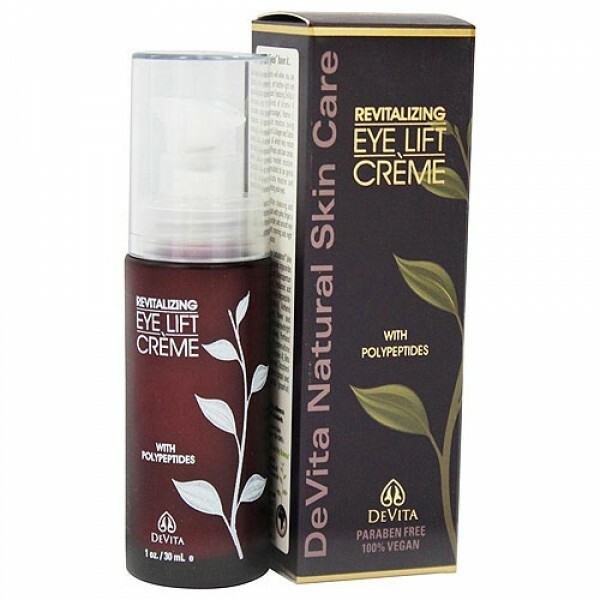 Use devita's rich yet feather light eyes nourishing cream. 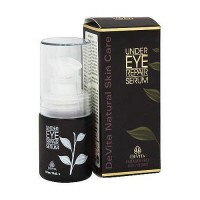 The eyes have it and they surely will when you use DeVita's rich, yet feather-light eyes nourishing cream. Featuring DeVita's exclusive blend of Vitamin K circulation encourager, Vitamin E, Hyaluronic Acid moisture loving molecule, and Collagen and Elastin Amino Acids, all which help reduce the look of puffiness and dark circles, while adding needed moisture. 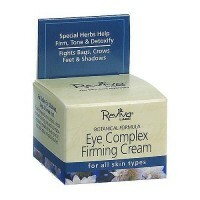 Specially formulated to be gentle on the delicate muscles and tissues surrounding your eyes. Aloe barbadensis (certified organic aloe vera gel), capric/caprylic triglycerides (derived from coconut), butyrospermum parkii (shea butter), hyaluronic acid (vegan source), hydrolyzed collagen (plant source), palmitoyl oligopeptide-palmitoyl tetrapeptide-3, anthemis nobilis (chamomile) flower seed extract, euphrasia officinalis (eyebright) extract, squalane (olive), panthenol (vitamin B5), phytomenadione (vitamin K), retinol (vitamin A), beta glucan (derived from oats), tocopherol (vitamin E), vitis vinifera (grape) seed extract, citrus paradisi (grapefruit) seed extract. 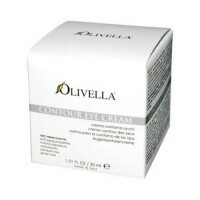 Gently apply a small amount under and around eye area. Apply both morning and evening for full performance. Recommended for those who prefer a cream delivery system over a serum. 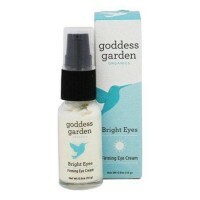 Goddess garden bright eyes firming eye cream - 0.5 oz.